Despite being a writer and, by definition, introverted and solitary, I really enjoy hosting for family and friends. The music is always pumping out the ambience, the food, if I may say so myself, is divine and the conversation flows about as steadily as the drink does. And oftentimes, as one does when they want to be a good host, I show my appreciation for my guests by going down into my beer cellar for a particular bottle of something special to share. Now, those only familiar with wine cellars should be pleased to know that yes, you can age beer as one does with wine. 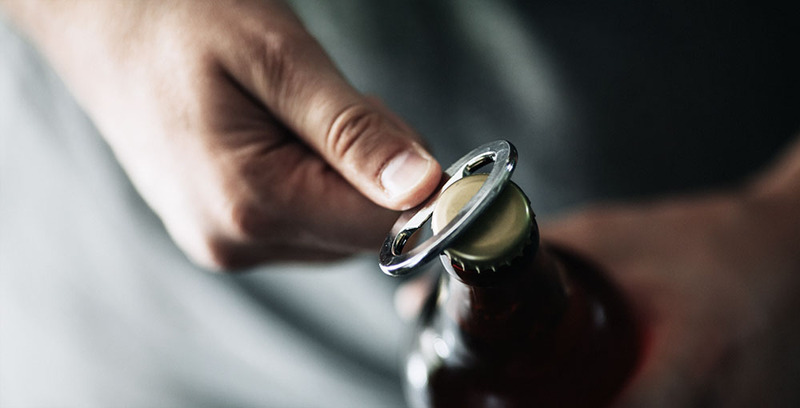 Depending on the beer, you can store bottles anywhere from one to 20 years, and notice drastic changes and previously undiscovered depths of flavour just for leaving a bottle sitting on the shelf a while. Starting a beer cellar is fairly easy. First you need to pick the right bottle. The safest bets are usually high alcohol beers with plenty of residual sugars in them that can further develop over the years. Imperial stouts, tripels, quadrupels, and barley wines are all fantastic choices. It should be noted, however, that pilsners and IPAs are best enjoyed fresh and will break down after a few months. A 15% ABV imperial stout though? Will age marvellously over the course of several years. Some initial suggestions to get you started for beers: Many of the readily available and affordable Trappist beers like Rochefort 8 and 10 or La Trappe Quadrupel are excellent first beers for the cellar. Imperial stouts like Amsterdam Brewing’s Double Tempest or North Coast Brewing’s Old Rasputin are also good choices. From there it’s best to find a dark, cool space to store them and forget about them. If you’re lucky enough to have a cellar in a faraway property that’s always dark and steadily around 12 to 15° C year round, that’s perfect. If you’re not so lucky, the back of a closet works just fine. Unlike with wine, make sure your bottles are standing upright rather than on their side. Many of the beers will have yeast sediment in the bottles and the last thing you want in your five year-old tripel are some bitter floaties in your glass. If you’re interested in discovering the difference aging makes, a good tip would be to buy two beers; one to drink immediately and one to drink a year or so down the line. Better yet, buy four or five of the same beer and try it every year to make note of any changes, good or bad. Next comes the most difficult part: Waiting. I know that it’ll be tempting to open one of the beers after only a few months, but fight it! Patience is a virtue in this case! While cellaring beer isn’t really an exact science and your mileage may vary on results, when it works out you’ll be patting yourself on the back for your patience and enjoying something truly wonderful! I would like to introduce you to my wine line. Matipsy Carbanet Sauvignon which is my entry into the wine industry.